Caitlyn Bobb would represent Harford Tech during the CCBC-Essex Last Chance Indoor Meet. Bobb would win the Women’s Varsity 500 Meters race when she crossed the line first in a time of 1:19.31. 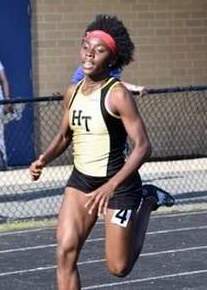 Bobb would run the anchor leg for the Harford Tech’s Women’s Varsity 4x400 Relay Finals team that clocked a winning time of 4:27.78.